Multiple Sclerosis Often Starts in Brain's Outer Layers ~ Health Matters Today! 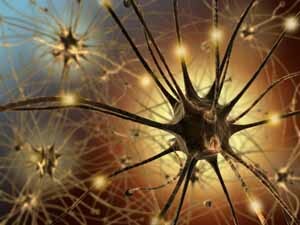 Multiple sclerosis (MS) may progress from the outermost layers of the brain to its deep parts, and isn't always an "inside-out" process as previously thought, reported a new collaborative study from researchers at the Mayo Clinic and the Cleveland Clinic. The traditional understanding is that the disease begins in the white matter that forms the bulk of the brain's inside, and extends to involve the brain's superficial layers, the cortex. Study findings support an opposite, outside-in process: from the cerebrospinal fluid-filled subarachnoid space, that cushions the outside of the brain and the cortex, into the white matter. The new findings will guide researchers as they seek to further understand and treat the disease. The study was published in the New England Journal of Medicine in December, 2011. Researchers do not know precisely what causes MS, but it is thought to be an autoimmune disease in which the body's immune system attacks and destroys its own myelin. This fatty substance surrounds and protects axons, nerve cell projections that carry information, and its damage slows down or blocks messages between the brain and body, leading to MS symptoms, which can include blindness, numbness, paralysis, and thinking and memory problems. "Our study shows the cortex is involved early in MS and may even be the initial target of disease," says Claudia F. Lucchinetti, M.D., co-lead author of the study and Mayo Clinic neurologist. "Inflammation in the cortex must be considered when investigating the causes and progression of MS," she says. Study authors say current therapeutic options may not even address issues associated with the cortex. Understanding how the cortex is involved, therefore, is critical to creating new therapies for MS. "Measures of cortical damage will enhance enormously the power of clinical trials to determine if new medications address tissue changes of MS in all regions of the brain," says co-lead author Richard Ransohoff, M.D., a Cleveland Clinic neurologist. These measures are important because disease accumulates in the cortex over time, and inflammation in the cortex is a sign the disease has progressed. The research is distinct because it studied brain tissues from patients in the earliest stages of MS. "What's unique about the study is, and the reason the National MS Society funded this international team of researchers, is that it offers a rare view of MS early in the disease," says Timothy Coetzee, Ph.D., Chief Research Officer at the National Multiple Sclerosis Society. "Collaborative studies like this, that deepen our understanding of the sequence of nervous system-damaging events, should offer new opportunities for stopping MS disease progression and improving quality of life for people with MS."
The findings support the understanding that MS is primarily a disease of inflammation, not neurodegeneration, as some studies have recently suggested. Co-lead authors Drs. Lucchinetti and Ransohoff conclude that it is "overwhelmingly likely" that MS is fundamentally an inflammatory disease, and not a neurodegenerative Alzheimer-like disease. How They Did It The research did not at first focus on the 'outside-in' question, says Dr. Lucchinetti. Instead, the team initially wondered what tissue changes in the cortex of MS patients gave rise to indicators of cortical damage. For the last several years, researchers knew from MRI studies that the cortex was damaged very early after onset of MS, and they knew from autopsy studies that the cortex was demyelinated, as was white matter. What researchers were unable to determine, until completion of the present study, was whether findings at autopsy (usually after 30-50 years of disease) accurately reflected the indicators of cortical damage from MRI images taken after only a few months of disease. In autopsy MS tissues, cortical lesions show demyelination, but without inflammation-raising the possibility that MS cortex degenerates due to intrinsic tissue defects. Such a process would not be treatable by current MS therapies and could not be explained by present concepts of the causes of MS.
Drs. Lucchinetti and Ransohoff determined to see if early-MS cortical lesions were, or were not, inflammatory. To do so, they studied the Mayo resource of white-matter biopsies taken largely from patients with suspected tumors, but eventually proving to have MS. About one-fourth of the biopsies also included tiny fragments of cortex, which formed the focus of study. The primary question was quickly answered: cortical demyelinating lesions of early-MS patients resembled those found at autopsy in every way but one -- the early lesions were highly inflammatory. These findings were reassuring because they indicated that treatments targeting inflammation in the disease may ameliorate MS effects on both the cortex as well as the white matter. While investigating the cortical changes in the biopsies, researchers were struck by the high frequency of cortical demyelinating lesions. Furthermore, in the white matter biopsies, which contained miniscule cortical fragments, about 20% showed inflammatory demyelination was contained entirely in the cortex. Researchers also noted inflammation was present in the meninges, the protective membranes that cover the surface of the brain and demarcate the subarachnoid space. Meningeal inflammation and cortical demyelination were highly-associated. Looking at implications of their data, Drs. Lucchinetti and Ransohoff could weave together a proposed pathway for lesion initiation, along with known experimental data from MS animal models, and term this pathway the "outside-in" theory. The research findings also lend urgency to efforts to use MRI to "see" more deeply into the cortical lesions of MS, particularly given that cortical damage is an important correlate of progressive disability and cognitive dysfunction in MS.